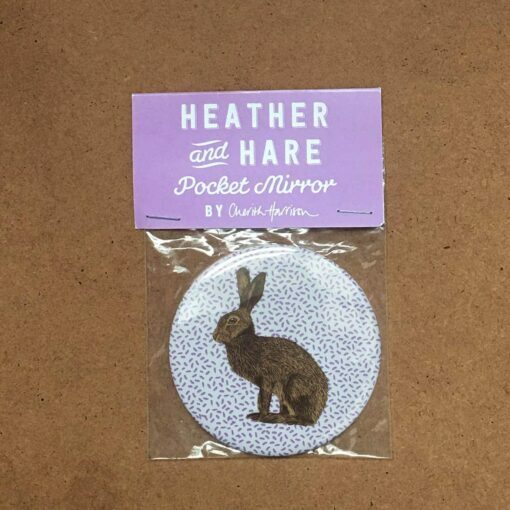 Measuring 8cm in diamater our round hare pocket mirror is a handy accessory to have in your bag for those necessary touch-up moments! All our pocket mirrors are circular in size and single-sided. One side is the mirror and printed on the reverse is Cherith’s illustration of a brown hare and a pattern of purple heather buds. All our pocket mirrors are made in the UK and come packaged in a clear protective bag.